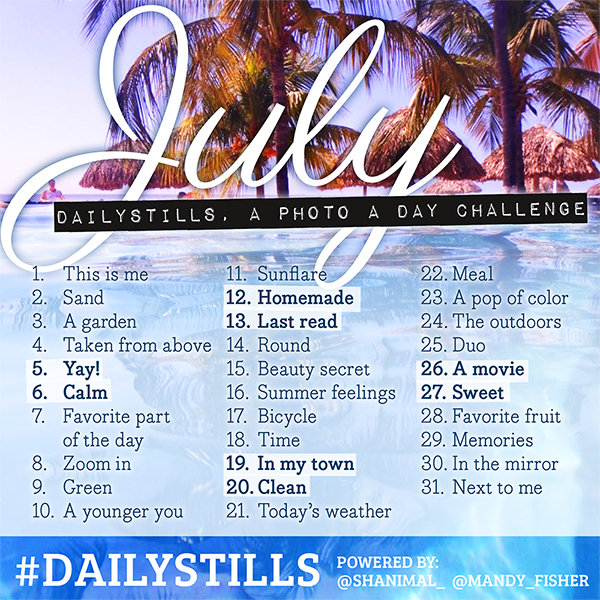 It's almost the end of the month and that means it's time to share the new Dailystills for next month, July! Are you joining us in July? Let us know on Instagram :) My IG account: @shanimal_ and @mandy_fisher. You're allowed to save this photo and share it on Instagram too, enjoy! Not sure how Dailystills works? Let me explain..
♥ Grab your camera or phone. ♥ Look at the monthly list to find the prompt for the day. The number corresponds to the date of the month. ♥ Take a photo using the prompt as inspiration. So for June the prompt for day 1 is ‘this is me’. So take a photo of yourself (selfie! ), something that signifies you or something you do often, you name it!